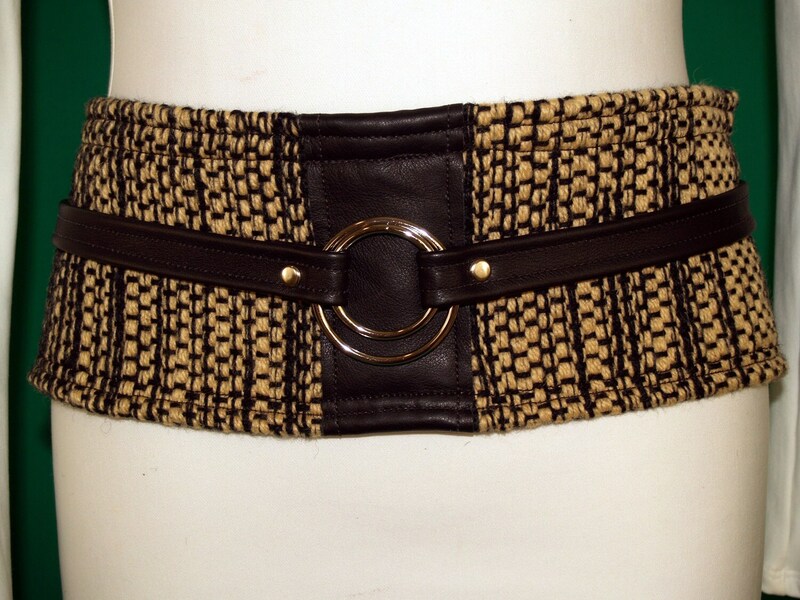 Tan and Black Woven Fabric Belt with Leather Trim. Unqiue design with double metal circle accents in the center. This designs compliments any waist. Metal closure snaps in the back. Waist size 36".